Polyethylene is very popular and one of the most widely used plastics in the world. In particular, polyethylene bags are perfect for custom uses. No matter what type of bag your business needs, poly bags can meet your specific requirements. 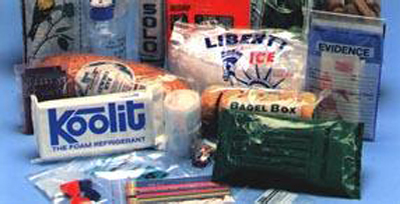 Branded plastic bags create the best flexible packaging solutions for any specific industry. Each industry and application is different, which is why there are a wide range of bags for specific uses with unique features for each application. Custom-printed poly bags are used to transport and hold anything you can dream up. Also, they can be made in virtually any size and print specifications. They are economical and recyclable which helps in promoting your brand as well as protecting the environment. Major retailers and local businesses can benefit from the exposure provided by printed poly bags. These bags can enhance a company’s image and help build a company’s reputation and recognition with its customers. With custom-printed poly bags, you can economically advertise your business and take full advantage of the numerous benefits that these plastic bags can provide. To find out more about customized polyethylene bags, contact Atlantic Poly.